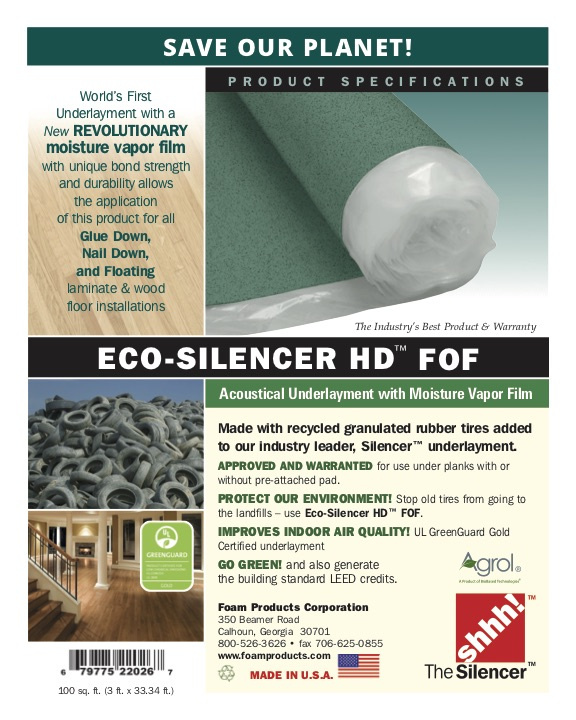 Eco Silencer HD FOF acoustical underlayment is suitable for ALL floating; glue down, and nail down Laminate, Bamboo, Engineered wood, and Hardwood plank installations. Offers the best support, moisture protection and sound absorption for your floors. 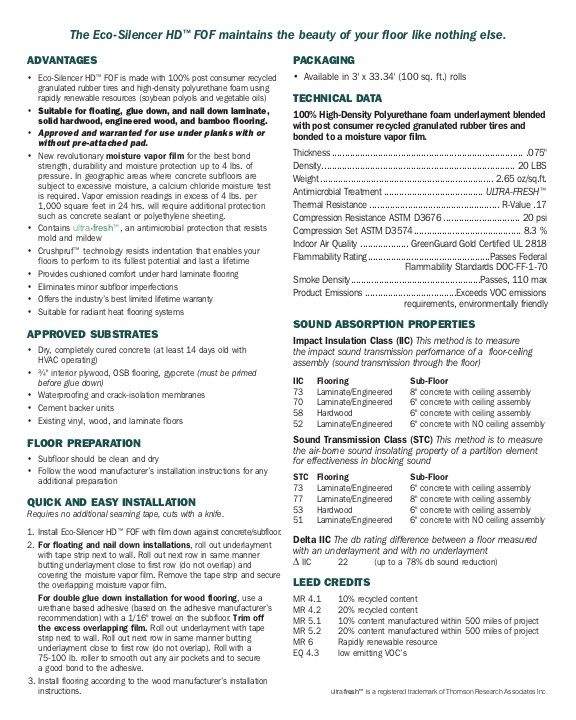 Approved and warranted for use under planks with or without pre-attached pad. The Eco-Silencer HD™ FOF maintains the beauty of your floor like nothing else. 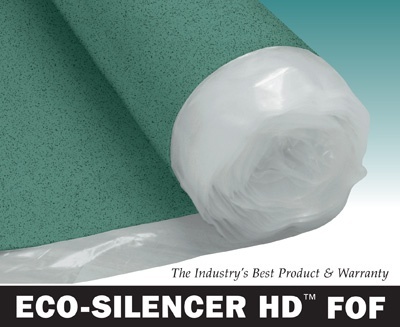 The Eco-Silencer HD™ FOF underlayment can stand up to the pressure. Requires no additional seaming tape, cuts with a knife.